A native of St. Louis, Missouri, Tiffany Snow earned degrees in Education and History from the University of Missouri-Columbia, before launching a career in Information Technology. After over a decade in IT, she switched careers to what she always dreamed of doing – writing. 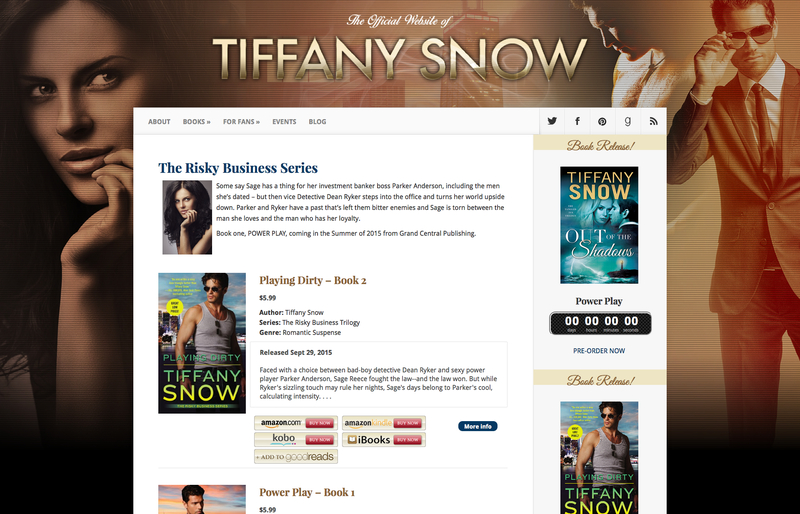 Tiffany is the author of romantic suspense novels such as the Kathleen Turner Series, which includes No Turning Back, Turn to Me and Turning Point. Since she’s drawn to character-driven books herself, that’s what she loves to write, and the guy always gets his girl. She feeds her love of books with avid reading, yet she manages to spare time and considerable affection for trivia, eighties hair bands, the St. Louis Cardinals, and Elvis. She and her husband have two daughters and one dog. 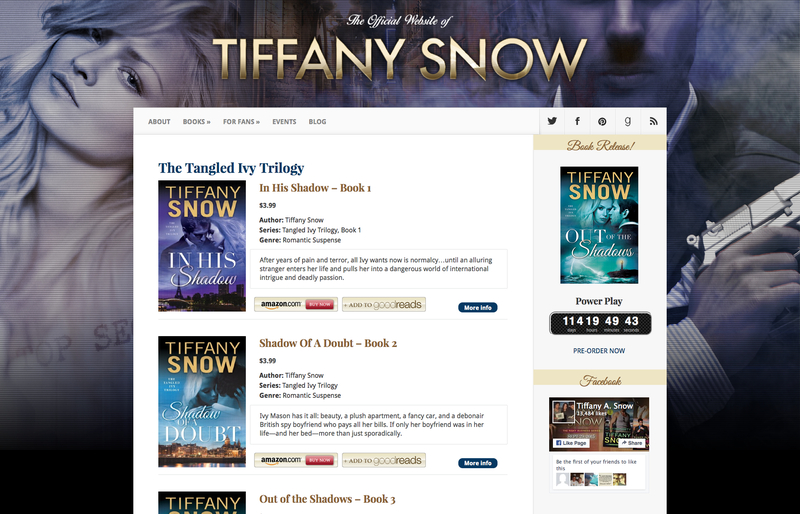 Tiffany’s background in IT gave her a solid understanding of the technology to build her own site but she lacked the design skills. When Tiffany A. Snow approached us she already had an impressive body of work but lacked a website that allowed her to promote her upcoming releases, communicate with her fans or showcase her catalog in an effective way. 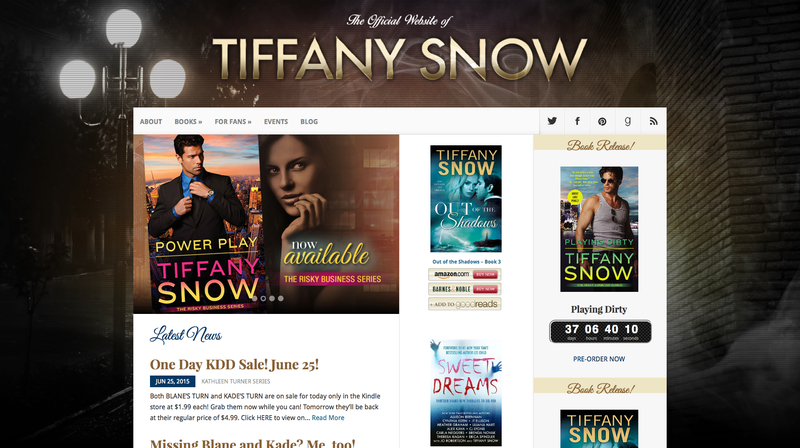 TiffanySnow.com is the centrepiece for the promotion of all of Tiffany’s novels. When creating the imagery for the site we drew upon the Tiffany’s requests for Film Noir yet modern and ease of navigation. The responsive design flows to all screen sizes and allows users to stay up-to date by following her blog and alerting them to new releases. 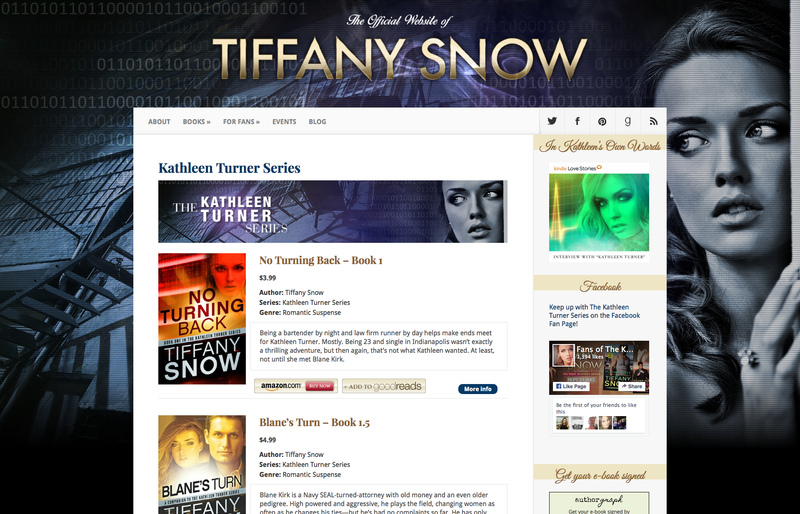 Currently, Tiffany has three written three series of novels, these pages feature custom backgrounds inspired by the novels. 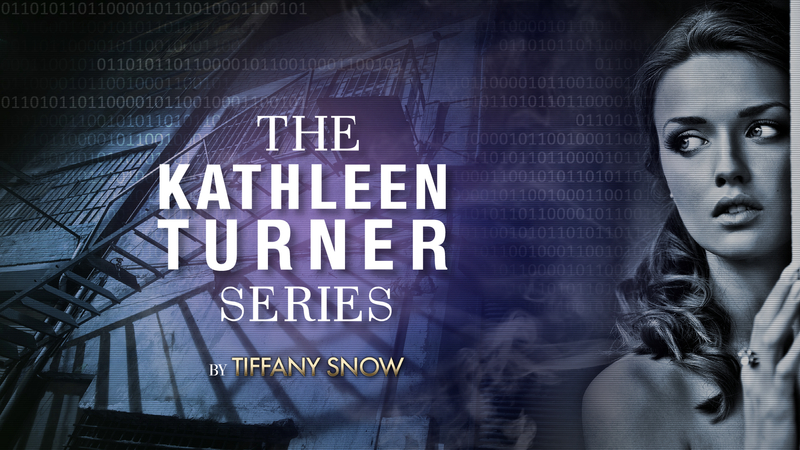 These are just some of the materials developed for the Kathleen Turner series, website background, wallpaper and banners. Being a bartender by night and law firm runner by day helps make ends meet for Kathleen Turner. Mostly. Being 23 and single in Indianapolis wasn’t exactly a thrilling adventure, but then again, that’s not what Kathleen wanted. At least, not until she met Blane Kirk. 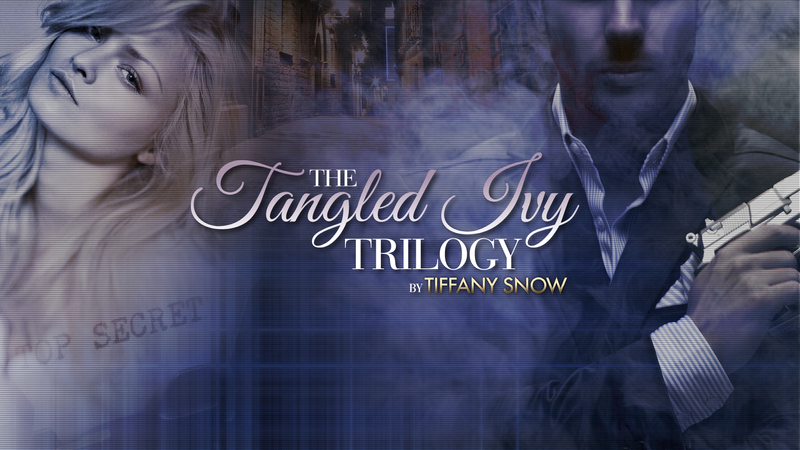 These are just some of the materials developed for the Tangled Ivy Trilogy, website background, wallpaper and banners. These are just some of the materials developed for the Risky Business series, website background, wallpaper and banners. Now, as Ryker digs deeper into the dark side of Parker’s business, Sage finds herself caught between two men: the one she’s always wanted-and the one who makes her feel wanted like never before . 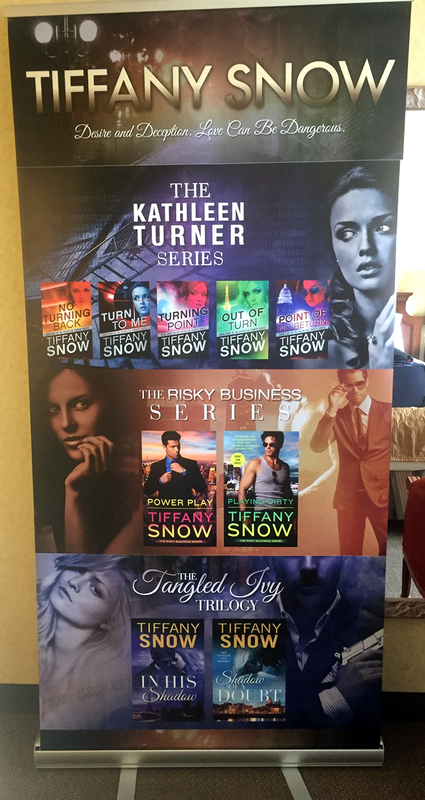 . .
A trade show popup featuring all of her novels segmented by series.